On a rocky reef southwest of Sheffield Island offshore from Norwalk, CT. The lighthouse sits atop an isolated reef southwest of Sheffield Island. The lighthouse has a sad story in its history involving the greed of one Keeper destroying the health of his assistant. In 1910, Keeper John Kiarson left for shore to get much needed supplies and pick up his and the Assistant Keeper’s (Leroy Loughborough) paychecks. Kiarson, who had a drinking problem, decided to get greedy after leaving Assistant Keeper Loughborough at the lighthouse. He cashed both paychecks and went on a drinking binge, leaving his assistant Loughborough at the lighthouse for 11 fogged in and stormy days. To survive, Loughborough was living on potatoes, dog biscuits, and boiled salt water. During the constant foggy and stormy weather that was plaguing the area, Assistant Keeper Loughborough tried to keep the light burning during his ordeal as the days wore on. The engine was causing problems with the light and Loughborough was spending much time trying to repair it to keep the light from going out. When he eventually passed out of exhaustion nearly 11 days later from trying to repair the engine, the light went out in the fog. Local mariners notified the authorities, and the lighthouse tender Pansy was dispatched to investigate, where they found Loughborough in very poor health. Keeper Kiarson was immediately removed from his post but Loughborough never recovered from his ordeal. He died about a year later from tuberculosis. 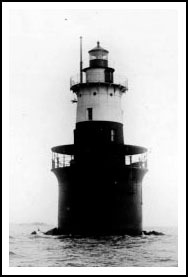 After the hurricane of September 1938 slammed against the lighthouse, it developed a tilt that remains today. 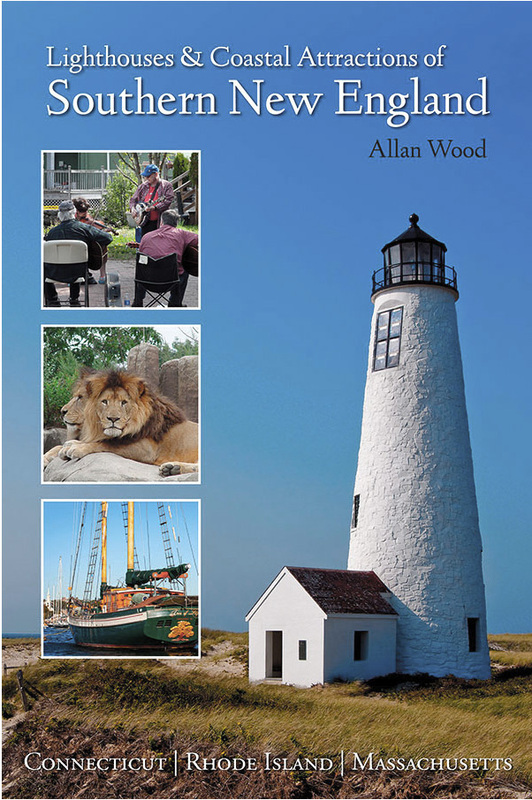 Norwalk promotes many cultural events in the arts and music for its community and for tourists, including it’s own artists’ museum, the Norwalk Museum, and the Stepping Stones Museum nearby for children. The SONO Switch Tower Museum shows visitors how railroads used towers that house the mechanisms for switching trains from one track to another. Visit the Maritime Aquarium to view their aquatic exhibits. From Route US I-95 North, take Exit 12 to Tokeneke Road, Route 136. Take Left at Crescent Beach Road where you’ll see the lighthouse off shore as you drive along the beach. You can also view Sheffield Island Light from a distance along the beach. Another view of the lighthouse can be seen from Bayley Beach traveling on Route 136 through the village of Rowayton just off Pine Point Road. In addition to marine life study, seals, birding, and TGIF cruises, they offer lighthouse cruises in the Spring. 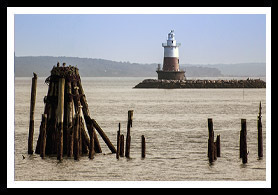 The one for Central Long Island Sound, covers Pecks Ledge, Greens Ledge and Sheffield Island lighthouses in Norwalk, Penfield Reef Lighthouse in Fairfield and Stratford Shoal (Middleground) Light.